Hey there! The weather has not warmed up yet (though we are promised a week of mid-30’s to come!) but, as predicted, I am in a much better mood* than I was during my last wrap-up. 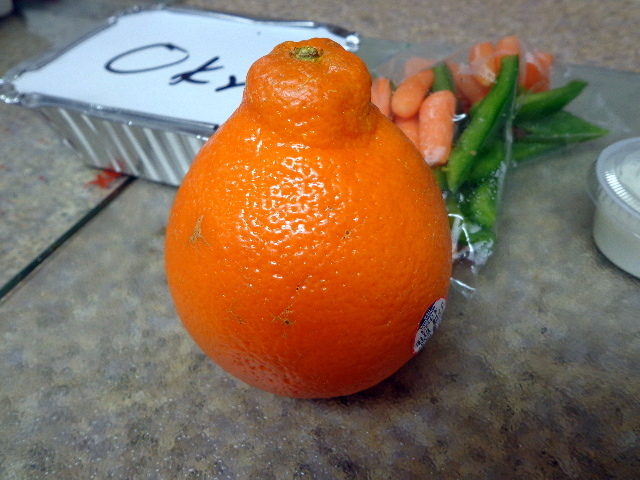 My dietitan side wants to attribute my good feelings to getting in more produce this week! 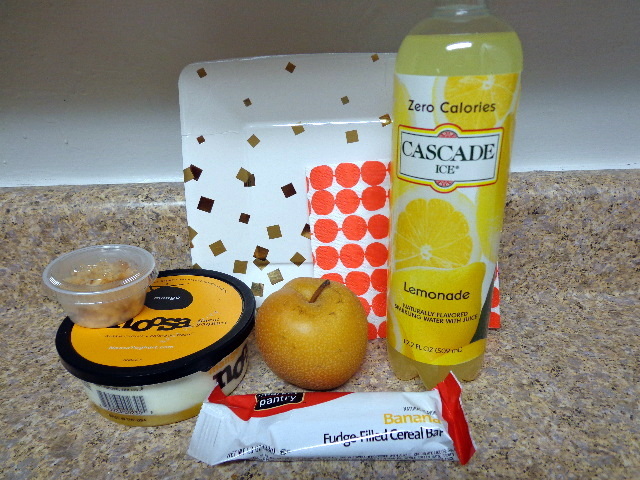 *I am probably going to exclaim that “____________ was soooooo good!” a million times in this post and I feel the need to disclaim that this is not just my bubbly persona, I had lots of really tasty things this week. 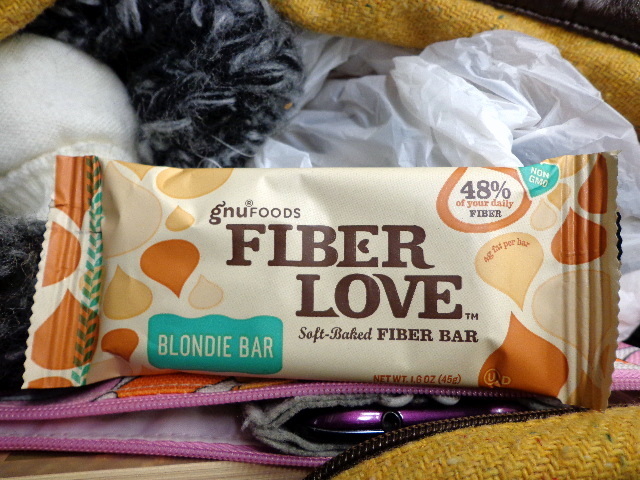 Half of a Gnu Fiber Love Blondie Bar and a skim black tea latte. I went with tea only because I had a coupon but I ended up thinking that it was quite nice. The bar on the other, was very meh. 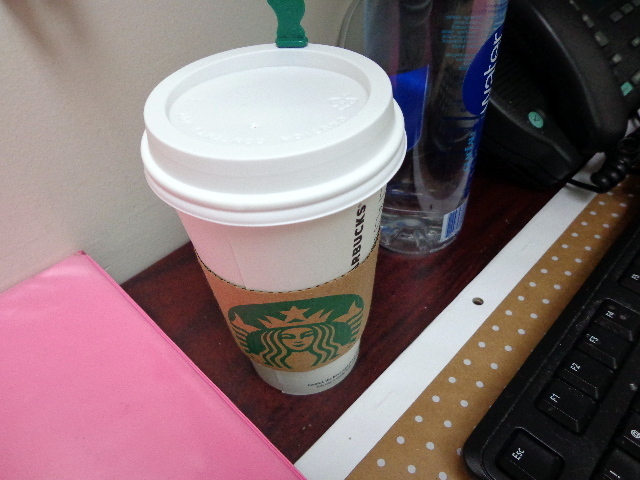 I almost never drink hot coffee but in the moment it sounded good. Probably because I was still thinking about how nice the foam was with my tea. 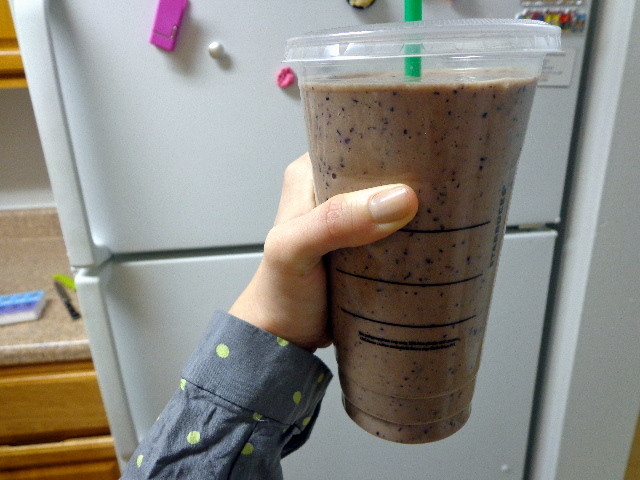 Frozen blueberries, a frozen banana, Silk Unsweetened Vanilla Almond Milk, 2 Tbsp Vanilla Bean and Espresso Barney Butter, and a Coco Café Coconut Water Café Latte. 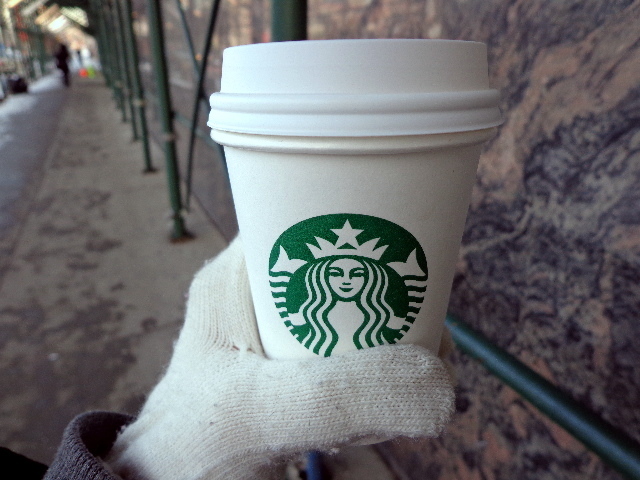 The coffee + almond combo was perfection. 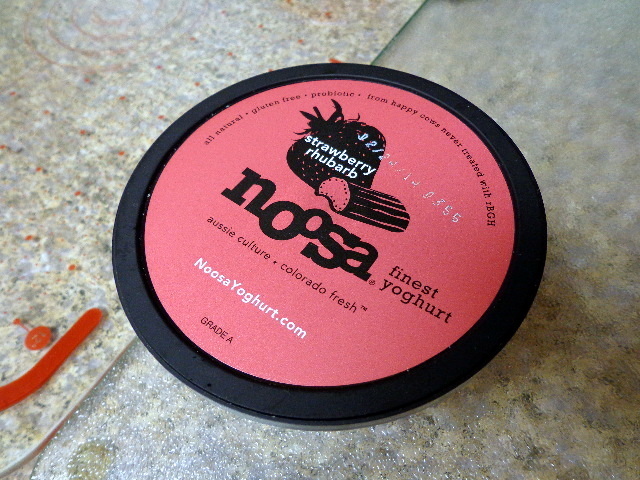 Strawberry Rhubarb Noosa Yogurt (pssst, all Noosa shown in this post are former freebies). I had never tried rhubarb before this but if it tastes in pie like it does in this yogurt then I’m sure I’d be a fan. 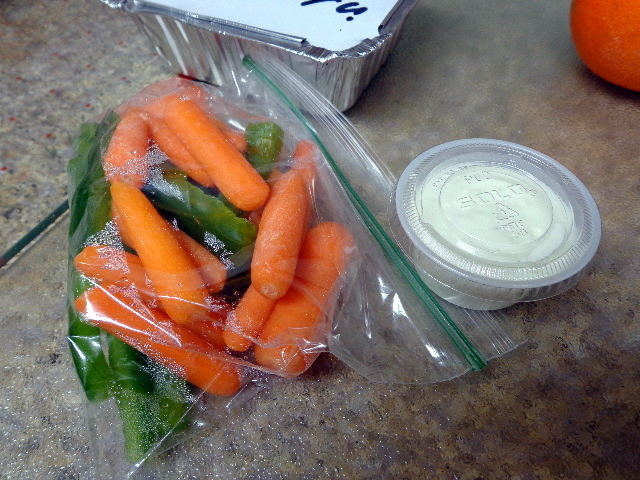 Plus baby carrots and green pepper with Bolthouse Farms Blue Cheese Yogurt Dressing for dipping. 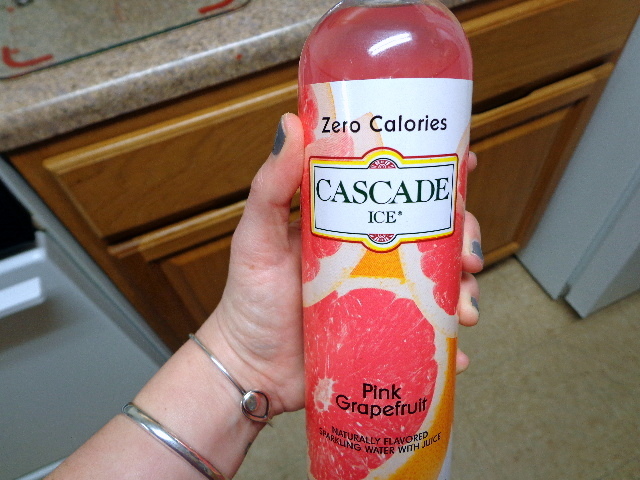 And a Pink Grapefruit Cascade Ice Water. Oh gosh, the pink grapefruit, sooooo good. I don’t even usually like grapefruit but this knocked my socks off. 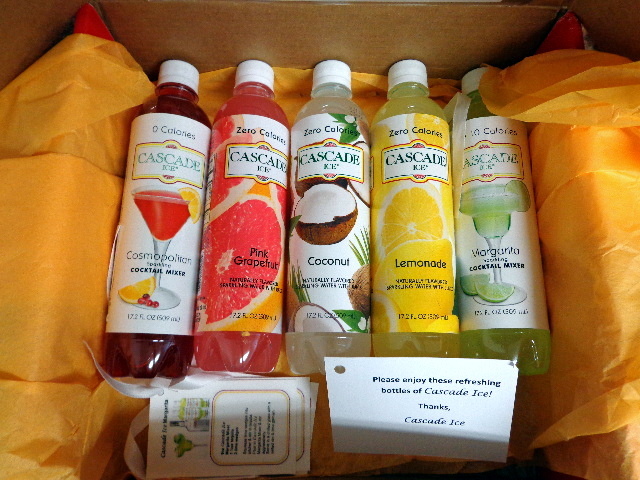 This bottle was part of a very sweet box Cascade Ice Waters sent me this week. Being a fan of all thing fizzy, I knew I would like them, but I’ve been shocked by just how good they are. I enjoy all of the flavors I’ve tried so far a bunch. 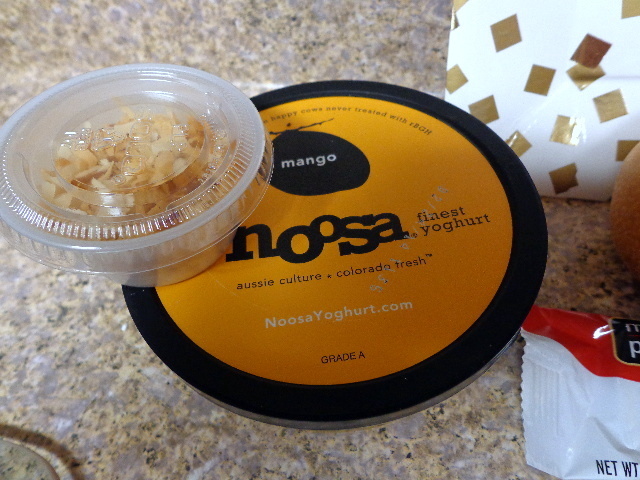 A Mango Noosa with some toasted coconut on top. 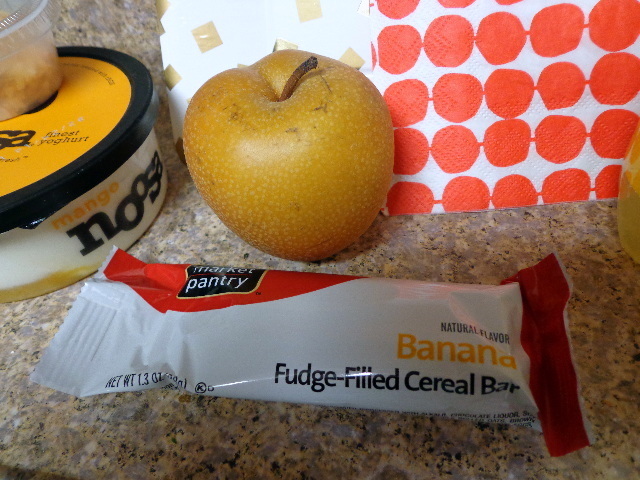 An Asian Pear and a banana fudge cereal bar (warmed, for the win!). And a Lemonade Cascade Ice Water. Super refreshing. 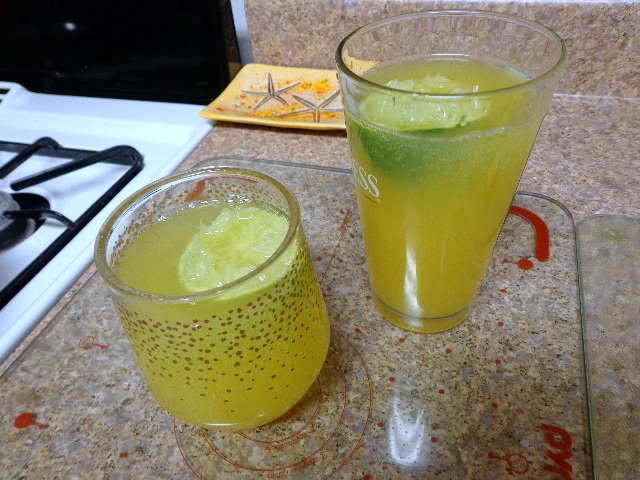 These drinks don’t taste “diet” at all. <– usually my complaint with beverages other than diet coke. …from a dinner you’ll see in a sec. 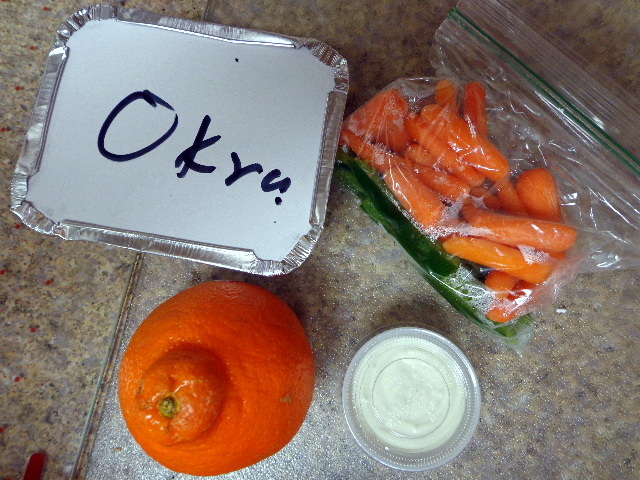 Here’s that dinner I was talking about. 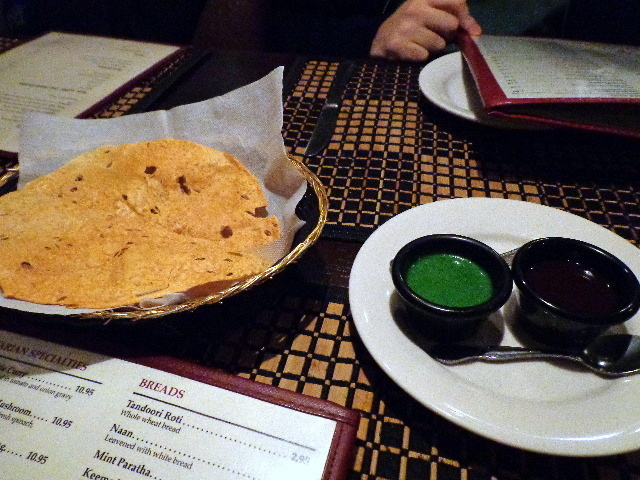 A poorly-lit date to Namaste that I’m going to share anyway because it was the best Indian food we’ve ever had. We went with a Groupon that let us get a bunch of courses. Including wine. 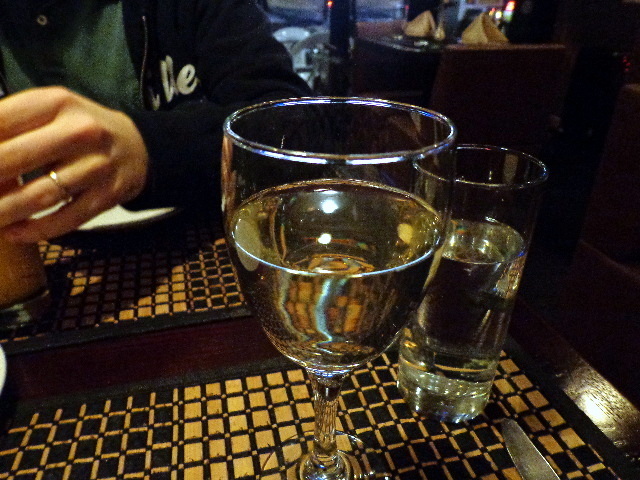 Riesling wasn’t actually the best pairing with my spicy food but I shared with Adam and he shared sips of his mango lassi with me. 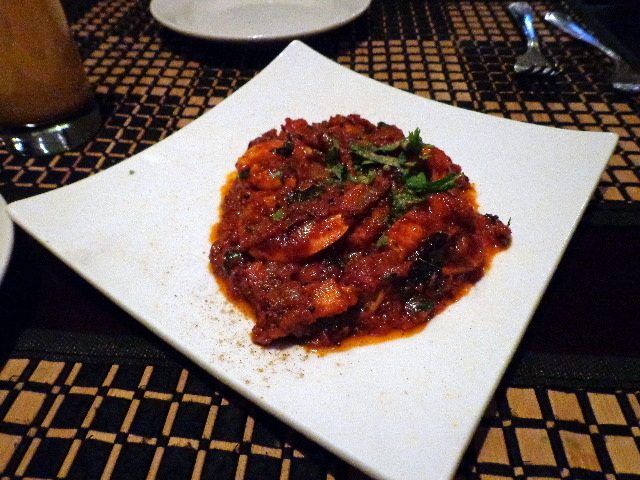 Our Shrimp Bhuna appetizer was ridiculous. The sauce was amazing. 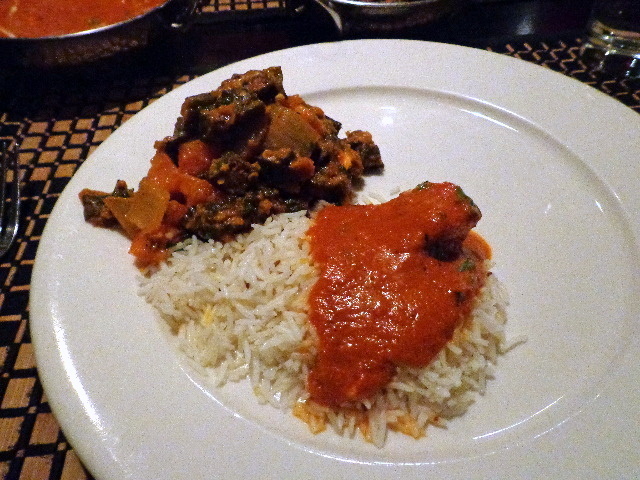 I a pile of Okra Masala next to rice that I topped with some of Adam’s Chicken Shahi Korma. Delicious. My dish was perfectly spiced. 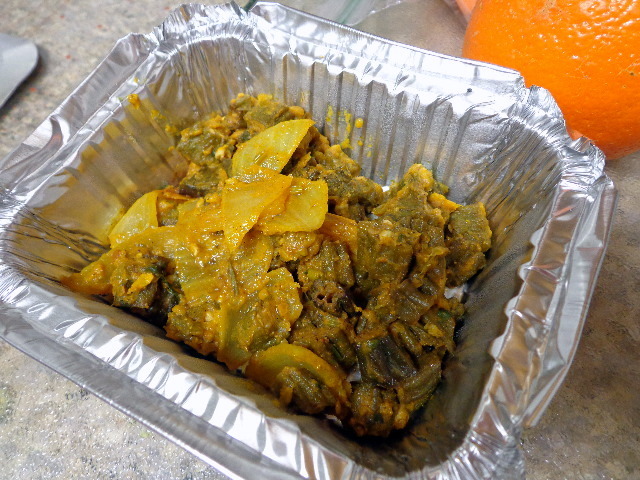 This was the best okra I’ve ever had and you know I love okra. 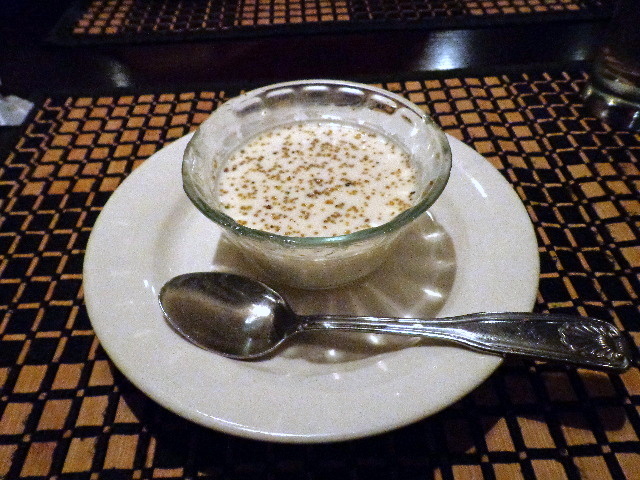 Plus they brought us creamy rice pudding for dessert. 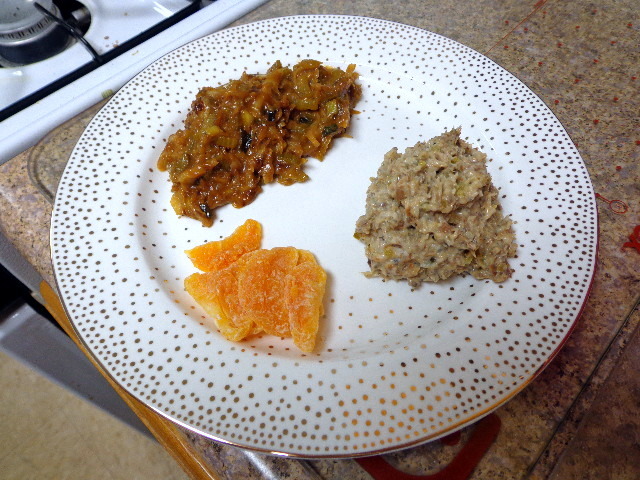 A quick and easy dinner at home. 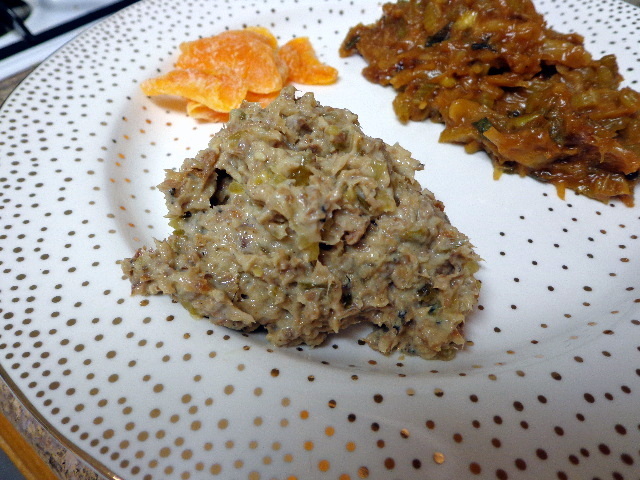 Herring salad – canned, smoked herring mashed with Miracle Whip, dijon, and pickle relish. 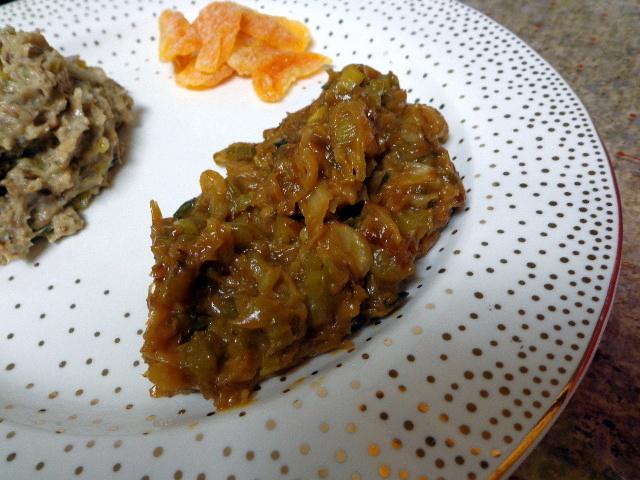 Orange honey cabbage – shredded cabbage and chopped celery sautéed in evoo and then cooked with a sauce made of orange juice, honey, rice vinegar, soy sauce, and corn starch. 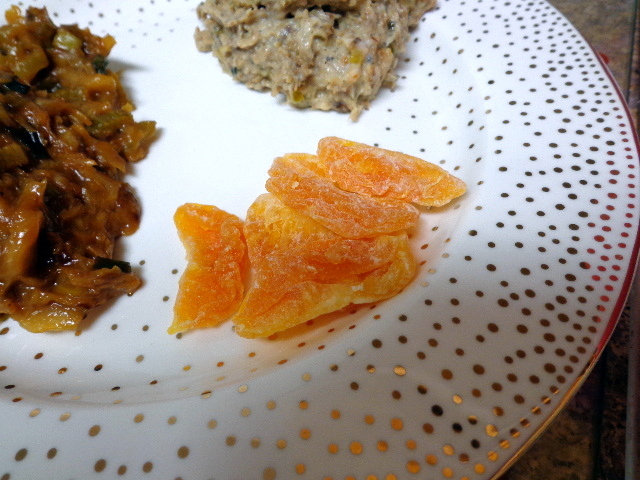 Plus dried clementines so that my plate didn’t look like it belonged to someone edentulous. 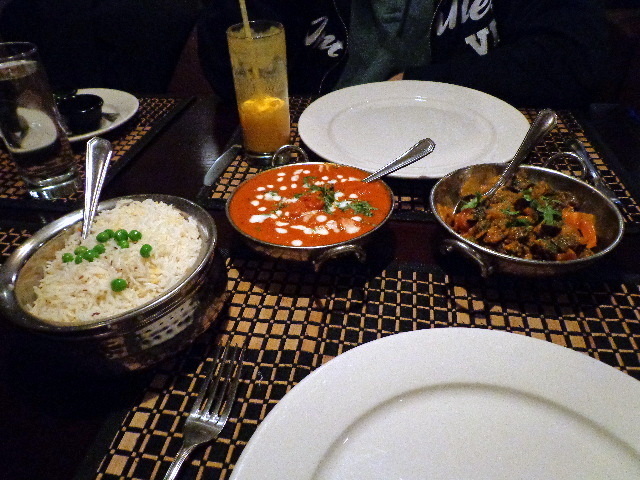 I wasn’t feeling any of my piles, sadly, but Adam loved this meal. The last dinner I have to share was a loser too. 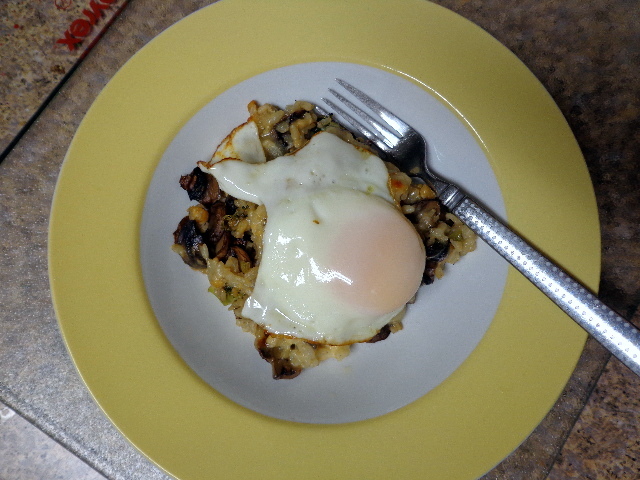 I topped leftover creamy mushroom casserole with truffle salt and a sunny side up egg but my favorite flavors weren’t enough to make up for the lackluster casserole underneath. 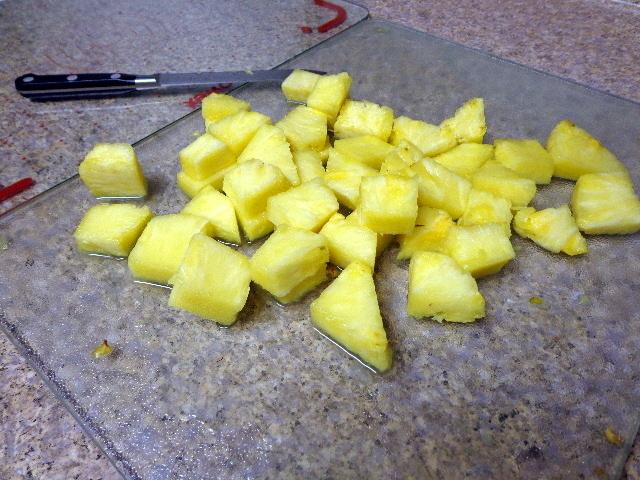 We shared this cutting board of pineapple as an appetizer and that wasn’t great either. Maybe I’m actually being picky this week? 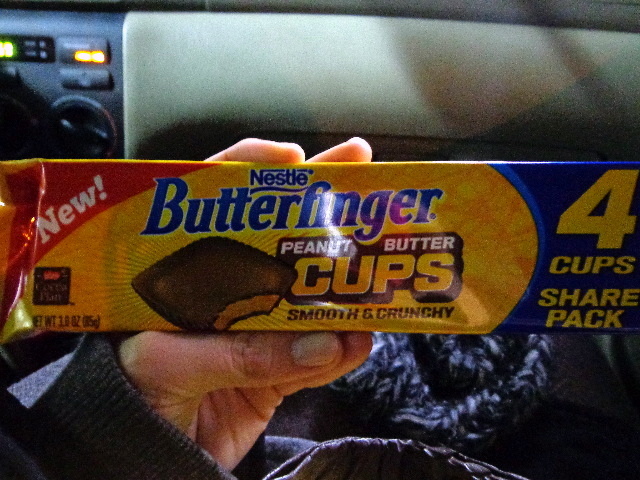 Adam and I tried the new Butterfinger Cups. 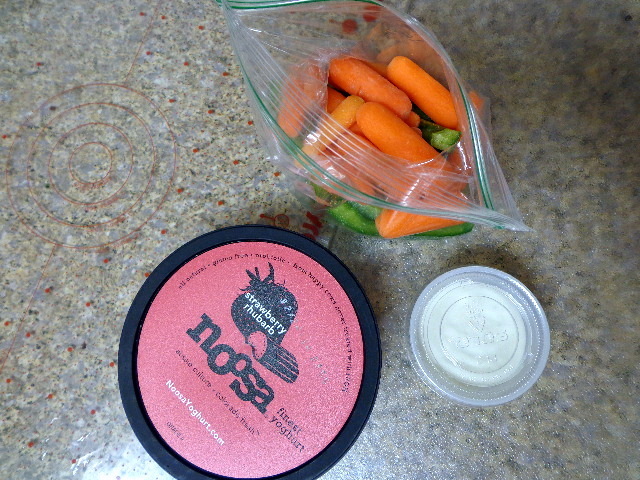 Not fans; they were actually too spot on, the flavors were so recognizable as Butterfingers and Reese’s Cups that it was weird to be eating them mashed together. 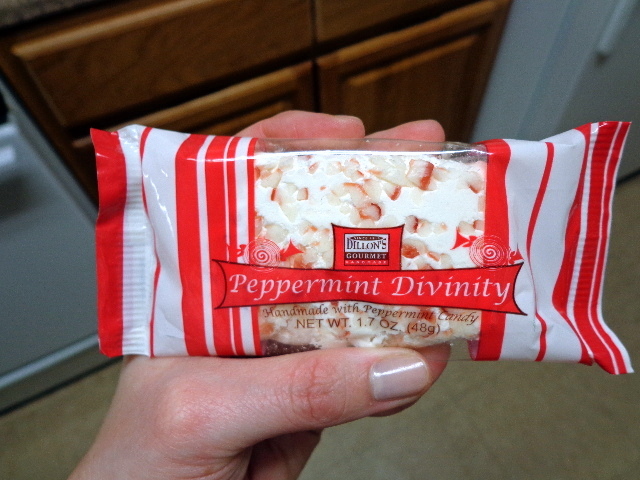 Peppermint divinity candy, on the other hand, is always good. Thanks for sending it, parents! P.S. 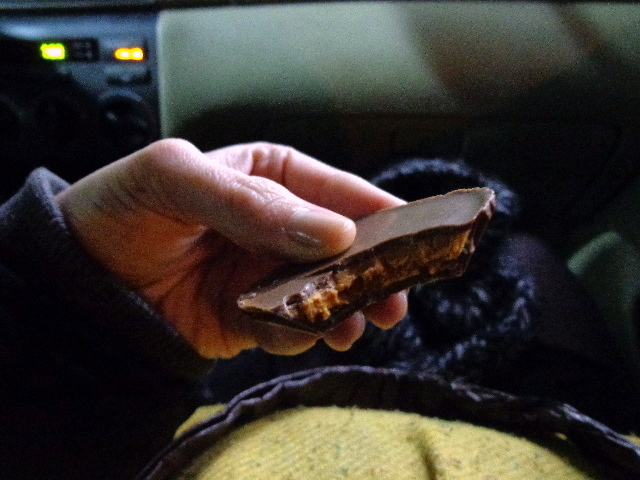 Fellow NYCers – if you come across divinity candy somewhere in our fair city please let me know! 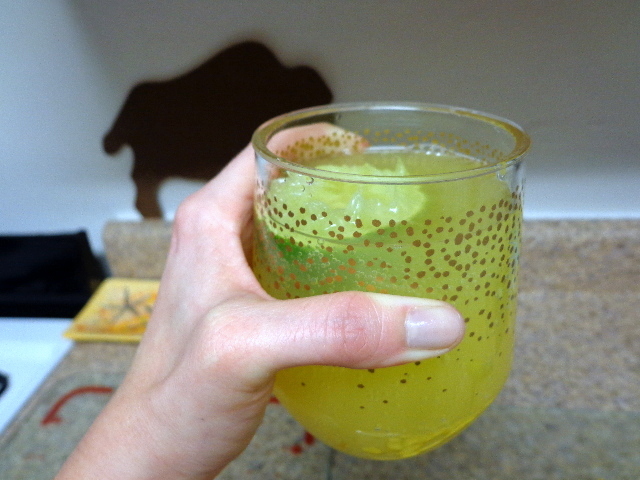 Made with Cascade Ice Margarita Sparkling Cocktail Mixer, a splash of orange juice, fresh lime, and tequila. 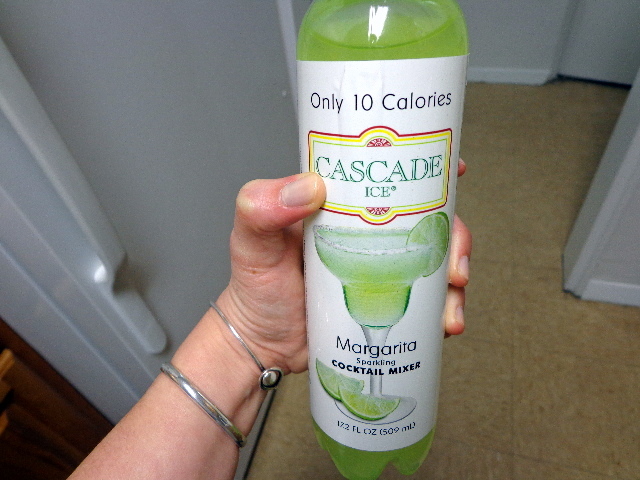 I don’t even like margaritas (I drink them from one bar only, always with Herradura) and I thought these were out of control. 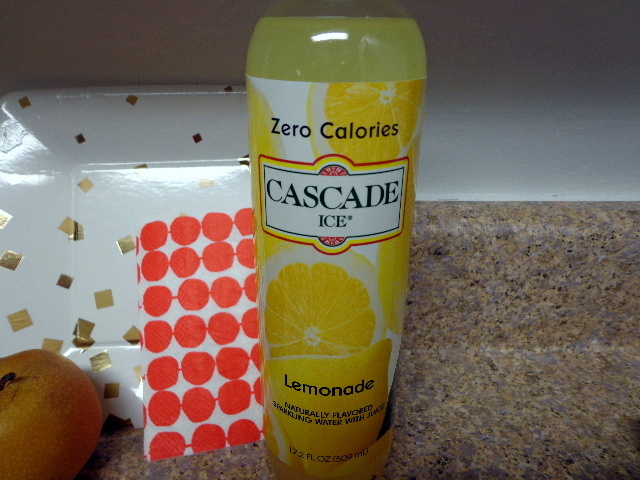 I haven’t seen the Cascade Ice cocktail mixes at my store but I am buying more of this as soon as I can find it. Homemade ice cream that was a total success. 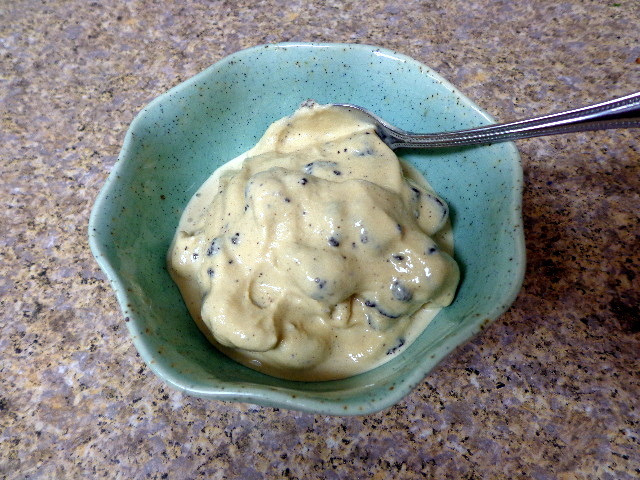 Amazingly, I managed to make the best coffee ice cream we’ve ever had. Place coffee grounds and half and half into the base of your French press. Stir. 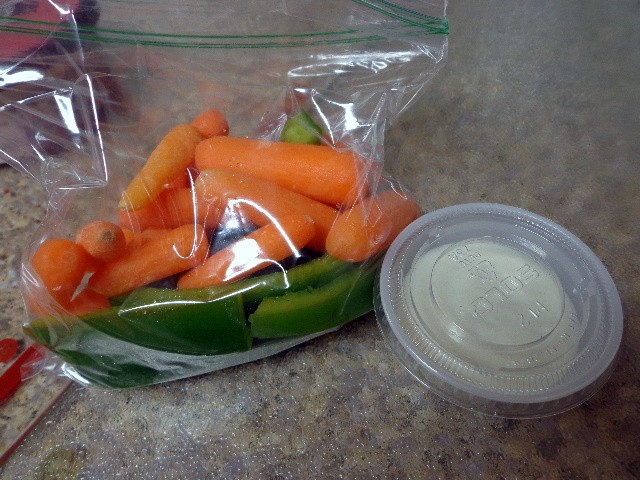 Cover (do not insert the press at this point) and store in the fridge overnight, at least 12 hours or up to 24 hours. Press grounds and pour coffee-infused half and half into a medium saucepan. Whisk evaporated milk, 1/3 cup sugar, salt, vanilla bean paste, and vodka into half and half. Heat mixture until tiny bubbles begin to form around the edges of the pan, stirring constantly with a whisk. Remove pan from heat and set aside for 10 minutes. While the milk mixture cools, whisk 1/4 cup sugar into egg yolks in a large bowl. Slowly stream the milk into the eggs, whisking constantly. Be sure to temper the eggs by starting with a very small amount of the hot liquid and gradually adding more. Return mixture to pan and cook another 5 minutes over medium-high heat, stirring constantly. Place pan into a large bowl of ice water, stirring occasionally, until cool, 20 – 30 minutes. Pour cooled base into your ice cream maker and freeze according to the manufacturer’s instructions. 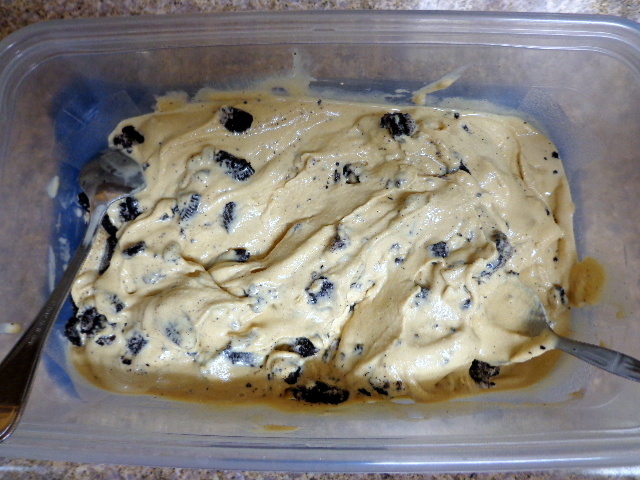 Transfer finished ice cream to a large storage container and fold in crushed Oreos. Serve immediately or freeze. « Around The Web; Aren’t You Punny? I’m shocked that “edentulous” was never used in one of the terrible medical memoirs you read!